On the edge of the Meon Valley, in the heart of the Winchester, Portsmouth and Southampton triangle, our delightful village will open a number of its gardens to visitors. The gardens vary from small intimate village gardens, to large country house gardens. In addition to our old favourites, there are one or two that have not opened recently and all have, of course, changed as the years have passed. 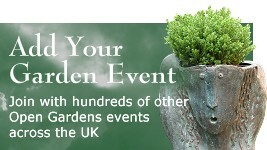 Most of our gardens are within easy walking distance of our start/finish point outside the Paterson Centre in Swanmore. A free shuttle bus service will be provided courtesy of Meon Valley Lions Club. Teas, coffees and homemade cakes will be available from the Paterson Centre. 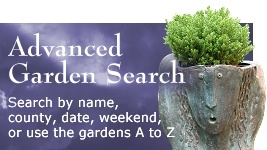 Note that our gardens will be opening again for the weekend 29th/30th June. Proceeds will be shared between St. Barnabas, Rowans and Bishops Waltham Food Bank. There will be plants for sale and a plant creche will avoid the need to carry them around - just give them to the minibus driver and collect them from The Paterson Centre. £6.00 adults per day, with free entry for one or two accompanied under 15s per adult. Entry includes use of the hop-on-hop-off minibus. Tickets are available from 12.30pm at The Paterson Centre, SO32 2PA. 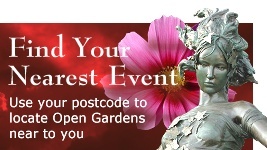 Follow Open Gardens arrows from A32, or from B2177 at Bishops Waltham or Waltham Chase. There is plenty of free parking.